I began my career in web development back in the mid-1990s working as a freelance developer building simple web sites using HTML and Photoshop with a little scripting. As the web began to grow in popularity, I jumped in feet-first and joined the content management company Vignette (now OpenText) in Austin, Texas. There, I began working as a consultant in their professional services organization, and then later as an in-house engineer building custom web applications on the Vignette content management platform. After Vignette, I worked at Dun & Bradstreet for eight years as a PHP developer supporting and enhancing the Hoover’s Online website, and maintaining a sophisticated data feeds system. It was at D&B that I really began digging into PHP as a programming language and implemented WordPress as a content management solution for several Hoover’s blogs and intranet applications. After D&B, I spent five months working onsite at the managed WordPress hosting provider WP Engine in a deep technical support role. 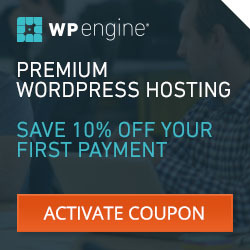 At WP Engine, I worked closely with customers troubleshooting and resolving a variety of WordPress issues. My daily activities included performance tuning, theme debugging, site migrations, and system level support. Through the years, my focus and specialty has remained digital publishing and content management, working with proprietary systems along with a variety of early open-source applications before finally settling on WordPress as my preferred web publishing solution in most cases. In my consulting practice, I enjoy building and maintaining successful long-term relationships with my clients and especially the creative process of helping to make their vision and inspiration a reality. When not in front of the computer, I spend time with my wife and kids and practice both Japanese Jujutsu and Brazilian Jiu-Jitsu. To learn more about the specifics of my professional background, please visit my LinkedIn page. While my home is in Austin, Texas, I am available for consulting engagements world-wide. For more information on the services I provide, please click here. Copyright © 2019 Metatractor Media.